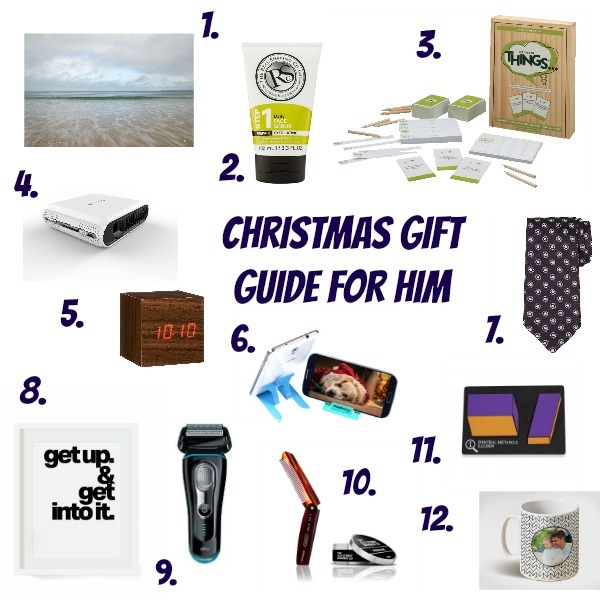 Time to think about those important men in our lives and what they would like for Christmas, here is a little selection of items that I think most men would love. The Day That*, is a unique personalised photo of a special day in their life. Each photo is taken at sunrise each day, there are a selection of pictures to choose from. You can add a little message to the photo to explain what your special day is. I love these and think they are a beautiful gift that would look lovely on the wall in any home. Hubby got to try some products from The Real Shaving Company*, which is super pleased with. Even my 11yr old son has started to use them too! The 1-2-3 set is great for preparing, shaving and maintaining. It smells nice, leaves your skin smooth and a really good price too. Game of Things * is a hilarious party game for 4 or more players, age 14yrs and up, each player has to come up with an answer to the question on the card. It could be questions like “THINGS people do when no one is looking”, “THINGS you wouldn’t do for a million dollars” or “THINGS your parents forgot to tell you”. Then you have to read them out loud and guess who said what! This would make a great Christmas family fun game. Touchjet pond is a projector so small that it fits in the palm or your hand but has so much power it can turn any flat surface into a super-sized screen. The projector can display up to 80” – and uniquely brings apps to life by making the screen interactive with the use of a stylus (two come with the projector) so users can play interactive games. How cool does this sound, my kids would love being able to play their games on the wall! Walnut cube alarm clock from John Lewis is a very cool clock that would look great on a mans desk or bedside table. It even responds to sound as well as touch, it comes to life by just the click of your fingers! Standeazy* transforms smartphone use, by a small stand that turns iPhones, Androids and other smartphones into hands-free entertainment and business presentation centres. The new Standeazy is still the size of a credit card, but made from stronger plastic to support a wider range of smartphone models. Ted Baker silk tie – with a stylish pattern any man would look smart in this tie. Heyla Get Up + Get Into It – An A4 print of your morning mantra every day, set the pace for the day ahead. Olive et Oriel prints are professionally printed with top quality inks and beautiful quality paper. Braun have a great range of shavers on the market, they are a firm favourite with hubby. He has recently reviewed has reviewed the Braun Series 9 9040s Electric Shaver* which you can read about here. I don’t think you can go wrong with a shaver for a man who loves a smooth shave. Hair care is another great gift, and this is a lovely hair gift set from The Old Street Barber Co*. With an old style handmade folding comb and some classic hair pomade to style their hair with. A great range of QI* puzzles have been recently launched to get your mind working! Befuddle your senses with square bubbles, sand that can’t get wet, and incredible optical illusions. Test your dexterity by making magnets bounce and sing or by constructing your own desktop castle! These would be great little gifts for any man! Photobox* is an online photo ordering service, however it isn’t just for prints. You can create photobooks, mugs, cushions and canvases. I have just created 2 lovely photobooks for family members. 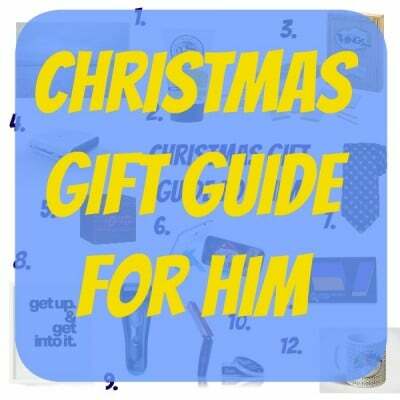 *Products marked with a * are products we were sent for the purpose of this Christmas Gift Guide. Great ideas, men are always so difficult to buy for! Such fantastic ideas. I’m rubbish at getting hubby gifts. I have bought the Standeazy for my husband as he is always complaining about not being able to watch football on his phone becuase he has to hold it up. I think it’s a great idea!